Our rambunctious Canadian Husky Chena needs an outlet for her boundless energy. We have found that scent work, a growing sport that pairs owner and dog in a hunt for hidden scent cachets, is an activity that Chena and we enjoy together. 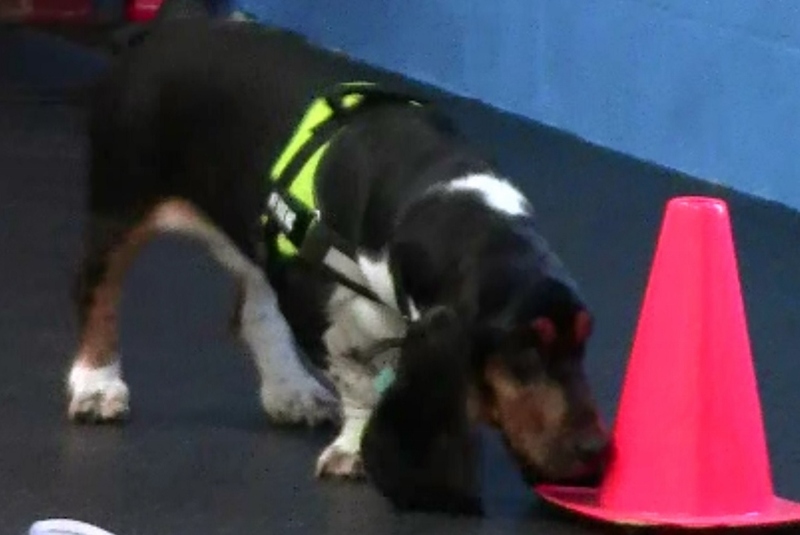 Almost weekly we attend training sessions at the New Dawn Animal Behavior Center . 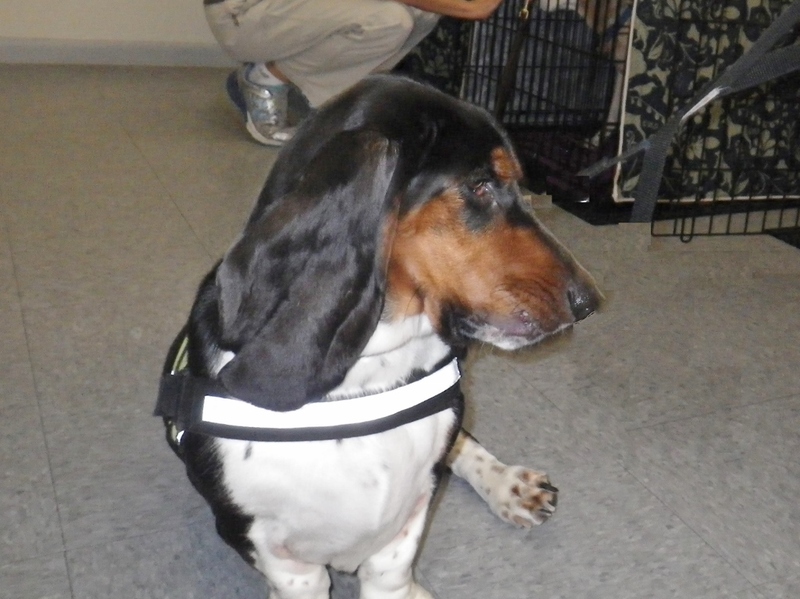 There we met the Wood family and adorable Bosley, a very long-eared Basset Hound. 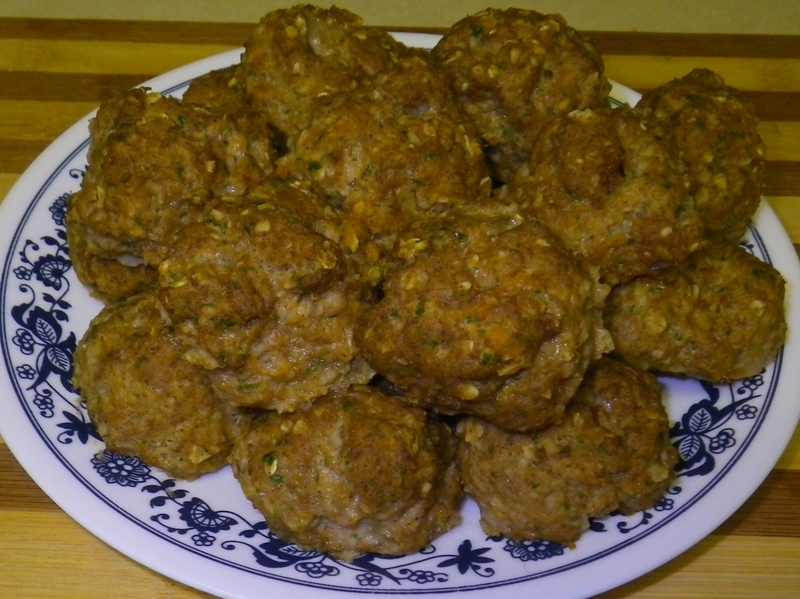 Barbara Wood was kind enough to share the recipe for Bosley’s meatball treats. Chena dearly loves them. They are quick and easy to make. We think your dog will love them too. Poke 4 or 5 holes in the sweet potato. Place in the oven and bake in a preheated 400 oven for 35 to 40 minutes or until soft. Place pan or foil on rack below potato to catch drips. Alternate: Microwave for 8 to 10 minutes. After cooking, set aside and allow to cool. After potato has cooled, pull skin form the potato and scoop insides into a large bowl. In a blender, chopper or food processor, combine the parsley and egg. Process until parsley is well chopped . Add the parsley mixture to the sweet potato. Add the ground turkey, oats, cinnamon and honey to the potato mixture. Use a stand mixer or use your hands to thoroughly combine the ingredients. 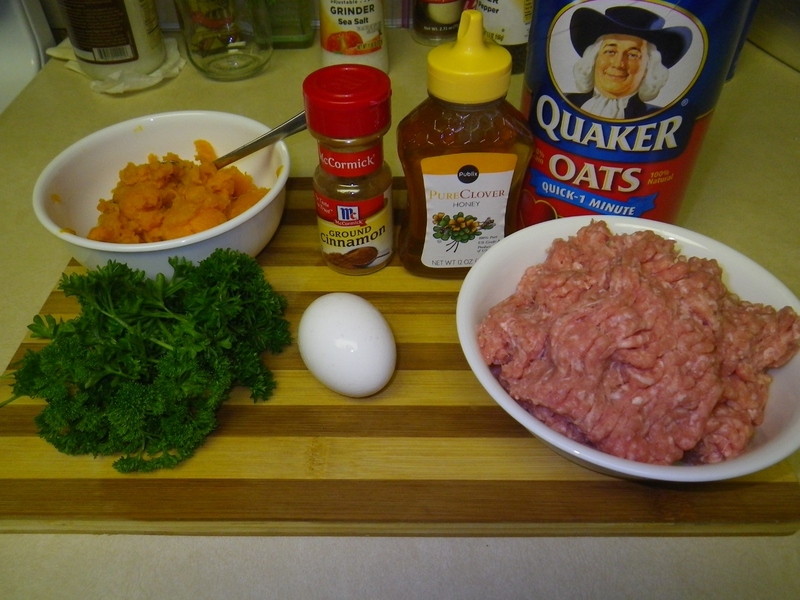 Roll the turkey mixture into small balls, slightly smaller than a golf ball; adjust for the size of your dog. Place the balls on the baking sheet separated, not touching each other. Roast in a preheated 350 oven. Cook for 15 to 20 minutes or until nicely browned. Remove from oven and allow to cool. Store in an airtight container in the refrigerator. 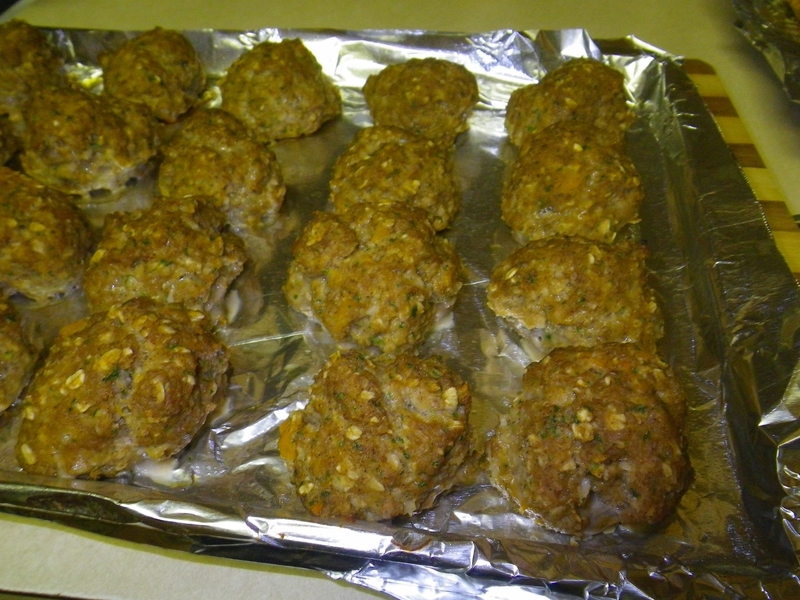 When out of the oven and just cooled, the meatballs seem soft and fragile. After cooling in the refrigerator overnight the meatballs firm up quite nicely and make a welcome treat for your dog(s).